Vintage Mischief is an overflowing fondue of vintage furniture, mid-century design, antiques and interior design solutions. If you have even a passing interest in iconic mid-century design, one off antique pieces and unique interiors then you should catch up with Vintage Mischief. Started in 2011 the shop has been going from strength to strength and has grown significantly. It started in one of the units in The Old Dairy in Beccles and now takes up most of the courtyard. The cows are long gone, replaced by beautiful pieces of homeware and furniture. Driven by the well honed eye of Danielle Spelman with a strong background in Art and Design, and Simon Leak who is constantly striving to create spectacle and theatre, the website is the latest facet to a fascinating business. The website is the latest edition to the business and is an edit of the best of the shop contents. It would be impossible to list everything online - we have literally thousands of pieces of homeware and furniture - but we have taken the best of our stock for you to buy here. Please do make the trip to the shop if you can. We'd be thrilled to see you, or you can simply order from our edited online selection. We are of course always eager to purchase furniture and unusual items and will happily travel far and wide to do so. What a fabulous place, run by two lovely people. So friendly and knowledgeable about all their products. Will definitely be back for more. Fantastic place with loads to explore and exceptionally reasonable prices. Simon and Danielle really know their stuff and are unfailingly generous with their time and advice. Check it out - you will have a ball! A brilliant shop with extremely helpful and friendly staff. Great stock at realistic prices - you must make the trip to Beccles as soon as you can! Fantastic! 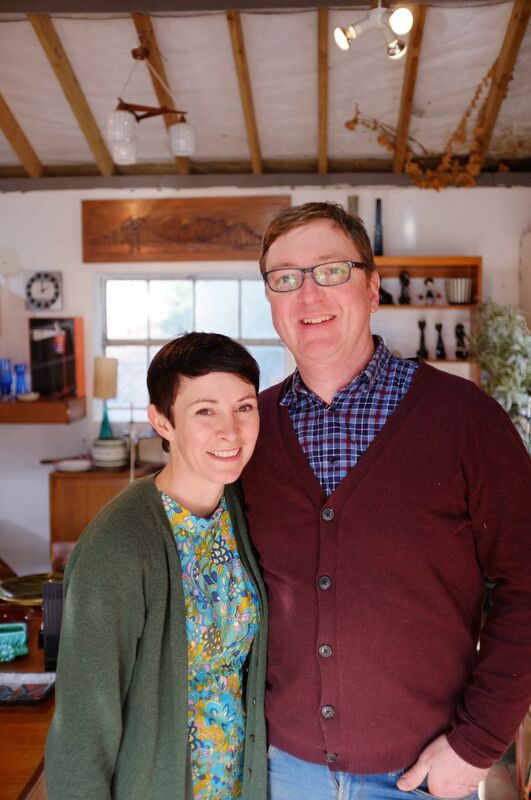 Our house would be half empty if it wasn't for Simon & Danielle's emporium of delights. And I'd have spent a lot less on records, too! Fabulous is the only way to describe the shop, staff and stock.